Traditions. Quality. Reliability.Professionals trust us. In 2017, the products of “Torgmash” OJSC were in the row of the best products of the Republic of Belarus. In accordance with the results of the “Best Goods of the Republic of Belarus Awards 2017”, MIM-600 meat mincer was announced the winner in the nomination of “Industrial and technical products”. 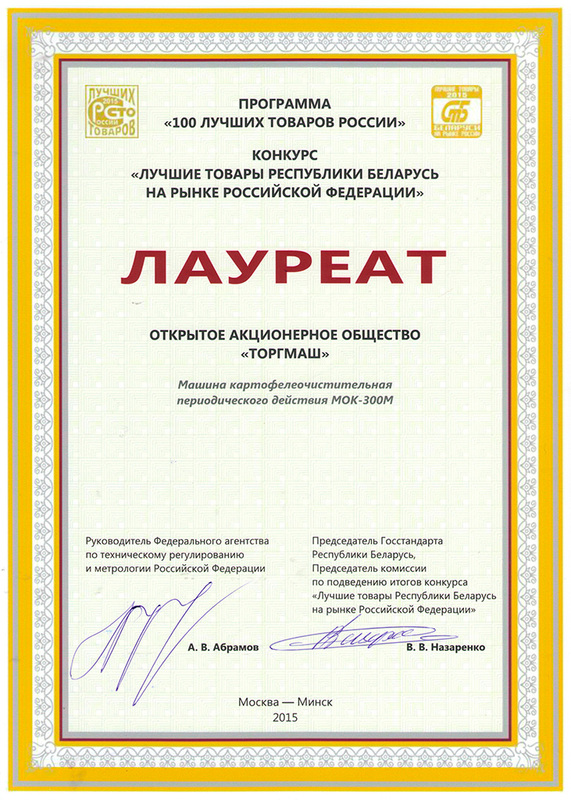 In addition to this solid victory, the company won “The Best in Brest Region” special award. 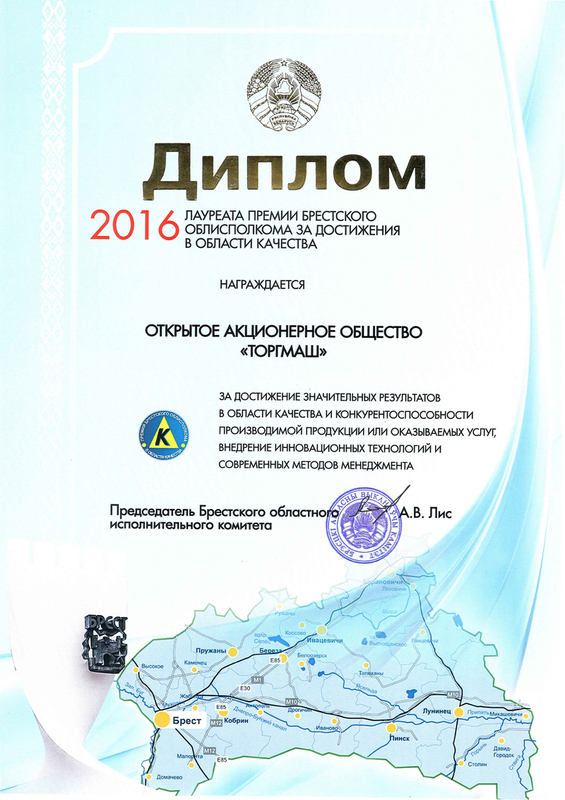 In 2016, “Torgmash” OJSC was honored a significant award: “The Quality Award of Brest Regional Executive Committee” for active work upon improvement of products quality and introduction of highly efficient quality management methods. The company’s labor safety policy is oriented towards continuous improvement of occupational health, safety and security protection and increasing of employees’ satisfaction with working conditions. 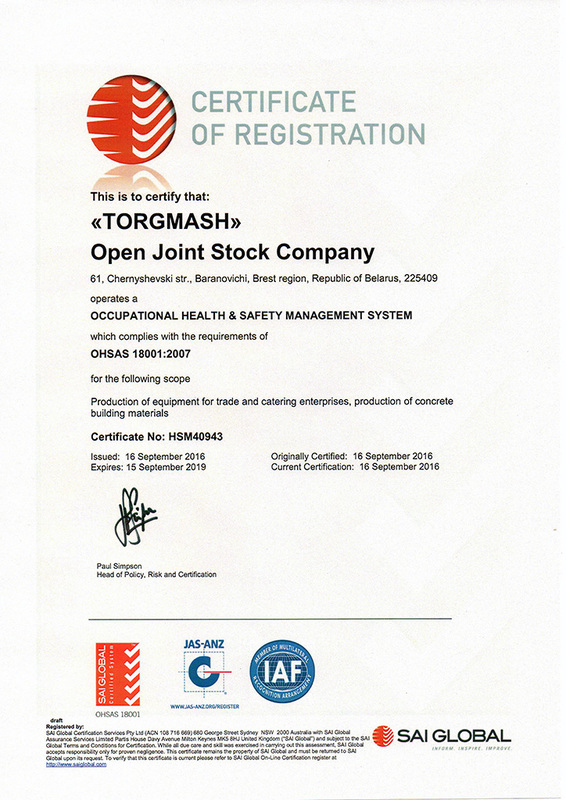 Certificate of Compliance with the requirements of OHSAS 18001: 2007 - international standard of occupational health and safety management system, dated September 2016, confirms that the company takes the right management decisions to improve labor safety management system. 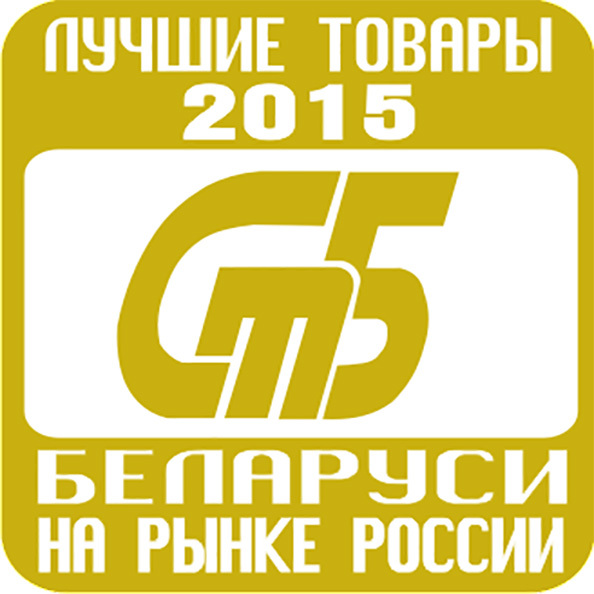 In 2015, “Torgmash” OJSC was another time announced a prize winner in nomination of “100 Best Goods of Russia” at “The Best Product of Belarus in the Russian Federation Market Awards”, held by Standardisation and Certification Committee of the Republic of Belarus and the Russian Federation. MOK-300M potato peeler was announced the best Belarussian product in Russian Federation in accordance with the decision of Competition Committee, that was made on the basis of expert analysis. This confirms the company's reputation as one of the best manufacturers in local and foreign markets. 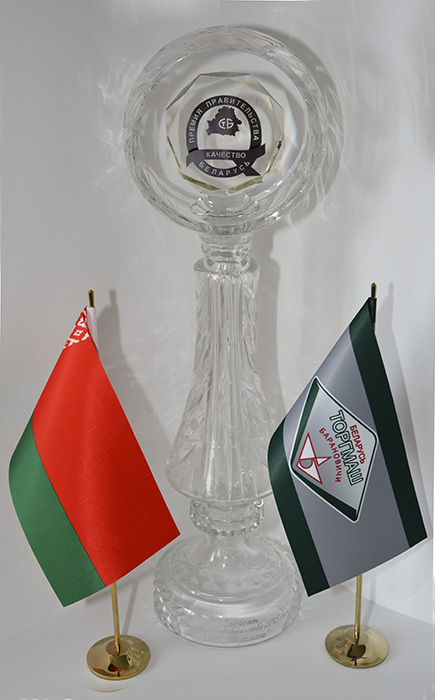 “Torgmash” OJSC is the winner of the “Republic of Belarus Government Award” for achieving significant results in the field of quality and competitiveness of products and introduction of innovative technologies. Mr. Andrey Kobyakov, the Prime Minister of the Republic of Belarus, pointed out: “The award winners are organizations, for which quality is the highest value. In the current context, this is a key factor for improving the competitiveness of not only a separate enterprise, but also of the industry of the whole country. It is important to apply all modern management mechanisms and to adopt best practices to ensure quality. There is no future without quality”. 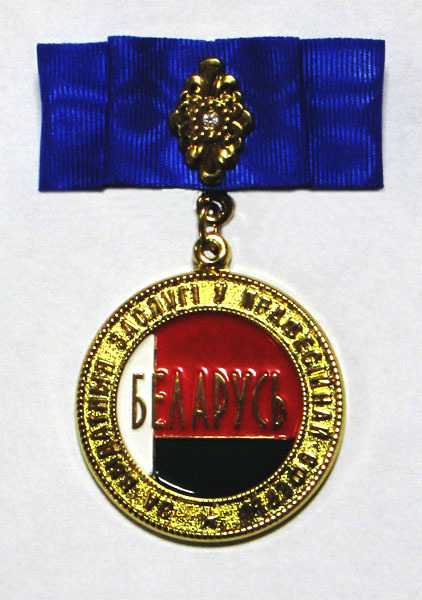 Awarding ceremony took place at the National Library of Belarus. 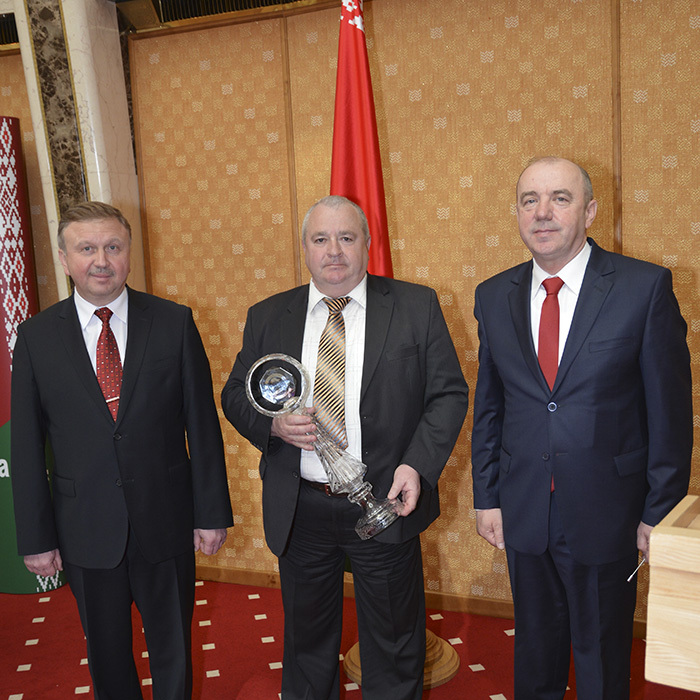 Mr. Alexander Yaroslavovich Ratkevich, director of “Torgmash” OJSC, was awarded a diploma and a cup, that confirmed the honorary status of the winner. 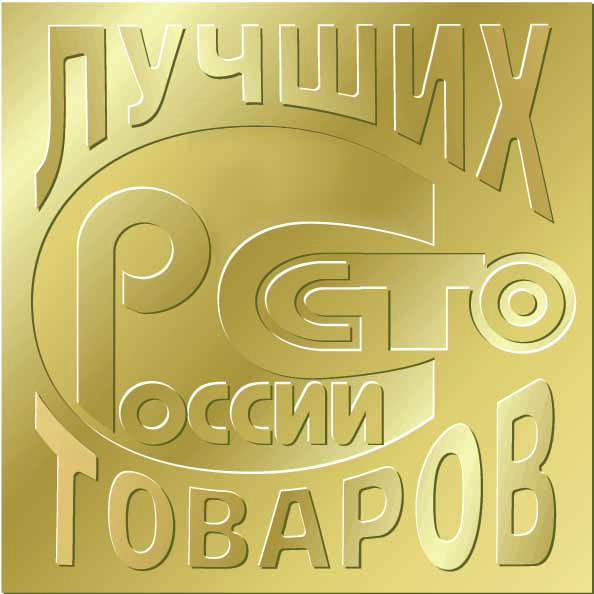 In 2014, “Torgmash” OJSC was another time announced a prize winner in nomination of “100 Best Goods of Russia” at “The Best Product of Belarus in the Russian Federation Market Awards”, held by Standardisation and Certification Committee of the Republic of Belarus and the Russian Federation. MIM-300M meat mincer was announced the best Belarussian product in Russian Federation in accordance with the decision of Competition Committee, that was made on the basis of expert analysis. 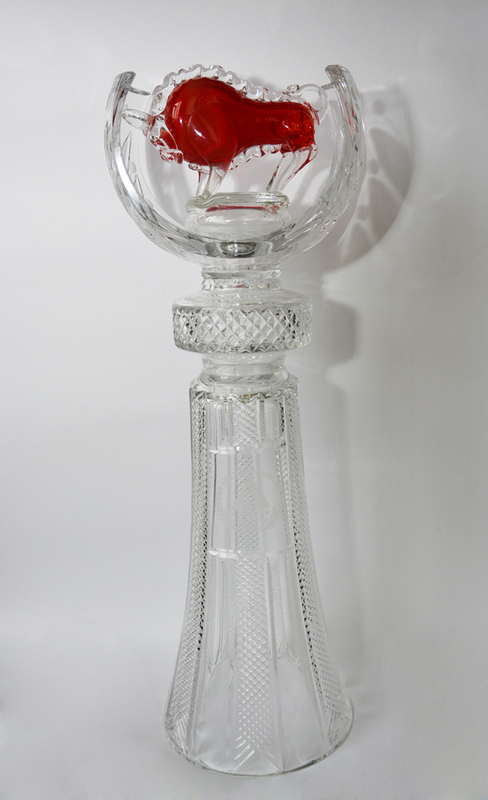 This confirms the company's reputation as one of the best manufacturers in local and foreign markets. 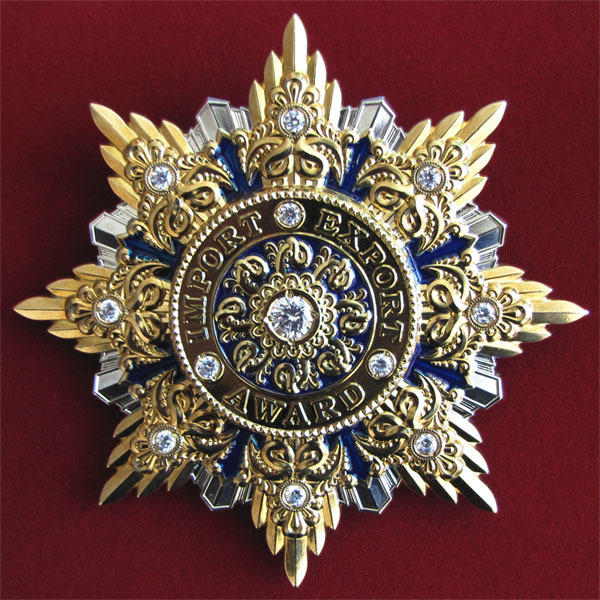 Awarding ceremony took place at on June 10 in Brest Regional Philharmonic Hall. 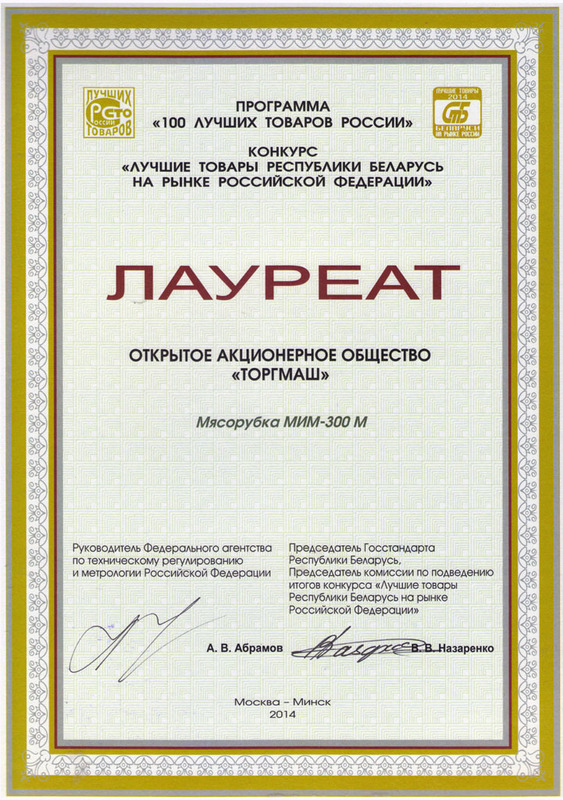 Mr. Alexander Yaroslavovich Ratkevich, director of “Torgmash” OJSC, was awarded a document and a mark of honor, that confirmed the honorary status of the winner. Mrs. Galina Konstantinovna Kobyak, head of the marketing and foreign activity department was awarded the “Distinguished Service Medal” for effective work, outstanding professional activity and dedication. 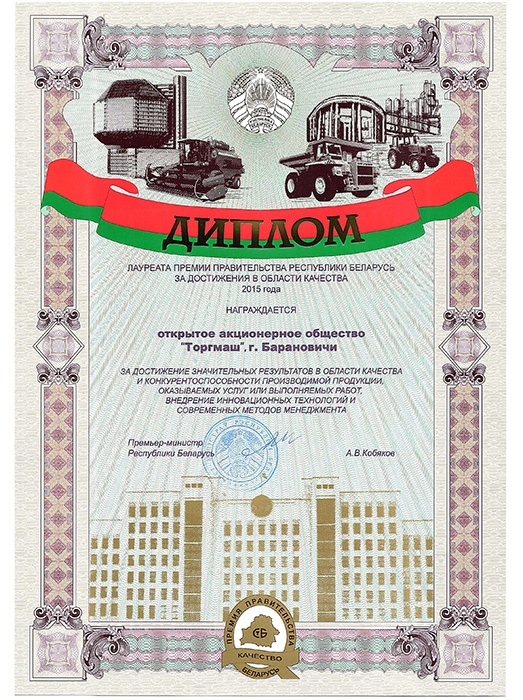 In 2014, “Torgmash” OJSC took a rightful place in “Exporter/Importer 2014 Top List”, that was aimed at image and informational support of companies that proved their reliability, sustainable development and successful leadership among exporters and importers of the Republic of Belarus in 2012-2013. The success was confirmed at awarding ceremony, that took place within the XXII International Economic Forum held at the Palace of the Republic. 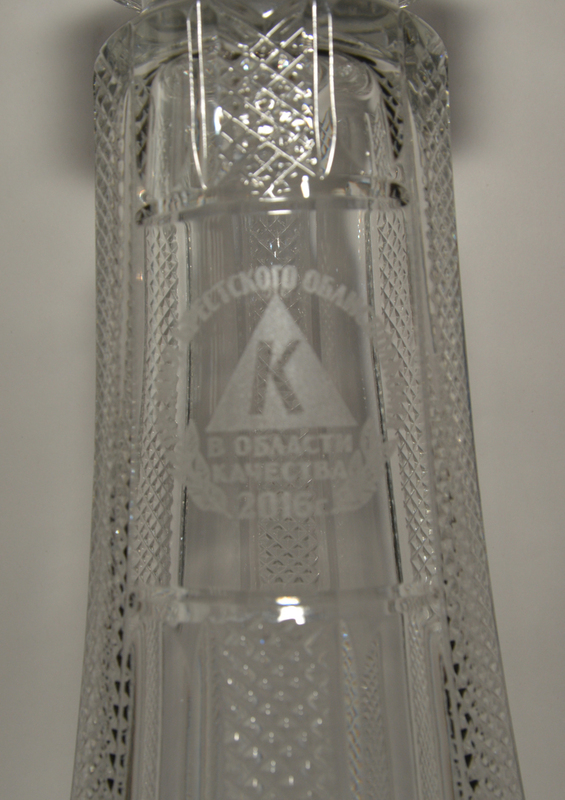 The “Exporter/Importer 2014” award mark is a symbol of annual work, performed by “Torgmash” OJSC upon improvement of quality of its goods and services, of open competition policy and of conscientious tax paying. Mr. Alexander Yaroslavovich Ratkevich, director of “Torgmash” OJSC, was awarded the “IMPORT EXPORT AWARD” for achieving high economic indicators in CIS and European markets, successful import/export management and the most optimal balance of quality, price and maintenance services. 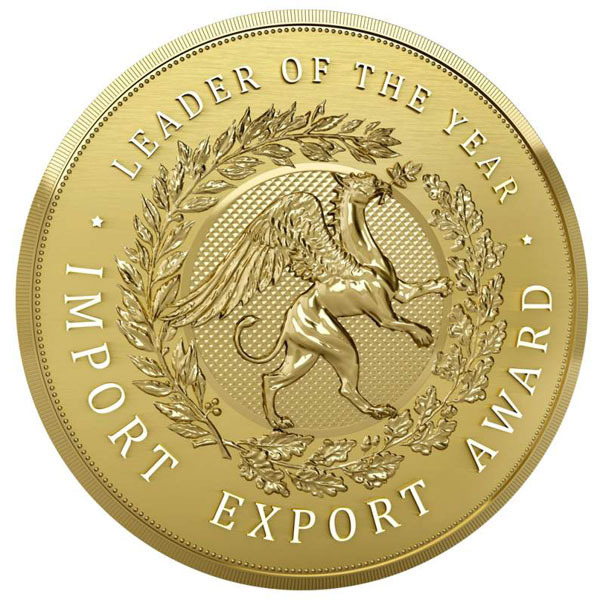 “Torgmash” OJSC was awarded "EXPORTER OF THE YEAR" international certificate for taking an honorable place in exporters top list. 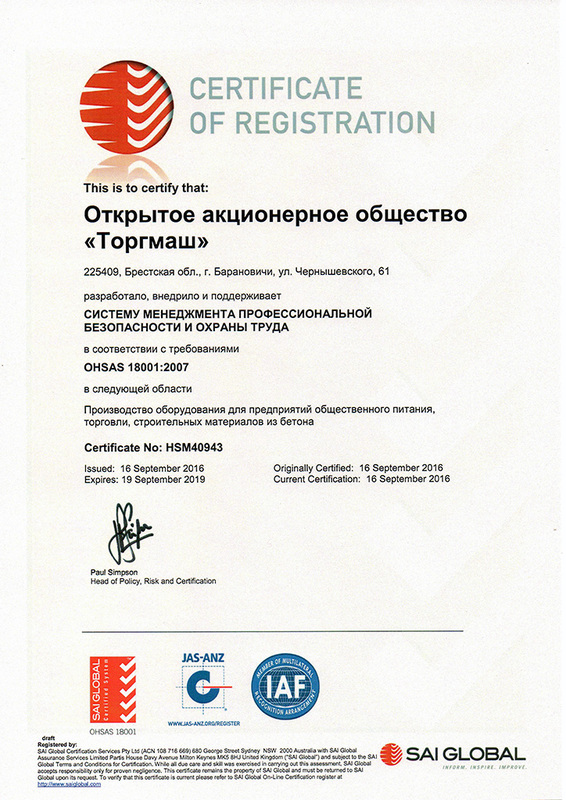 The certificate is a confirmation of high quality standards that allow the company to perform successful foreign economic activity, implement an innovative approach to business operations and create favorable conditions for the development of international cooperation.